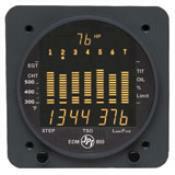 The EDM-700 by JP Instruments does it all on its 2 1/4” display. 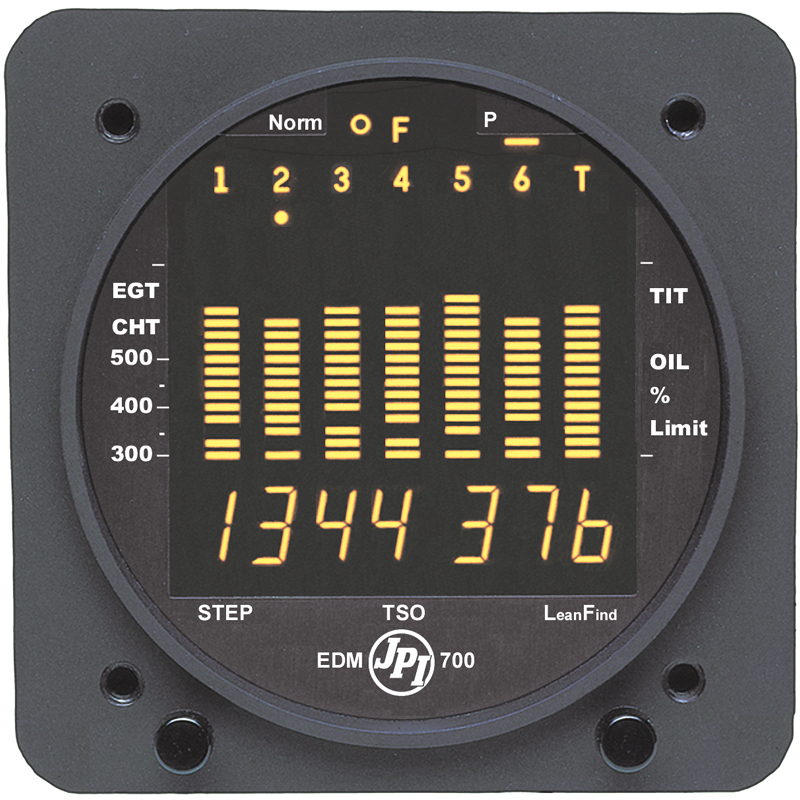 Monitoring trends, automatically finding the first EGT to peak, monitoring shock cooling, battery voltage with temperature accuracy to 1°, the EDM-700 does it all. 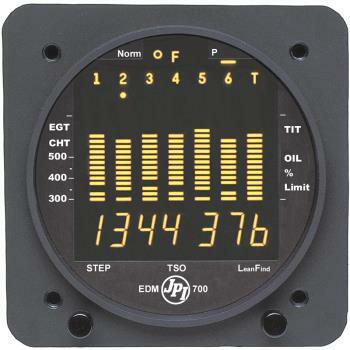 With its combination layout, the EDM-700 allows you to simultaneously monitor all channels for EGT and CHT on a bar graph and digital numeric display. 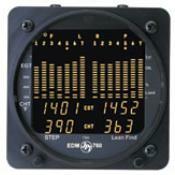 Systems include EGT & CHT Probes, Leads, Harnesses, and Memory Module.